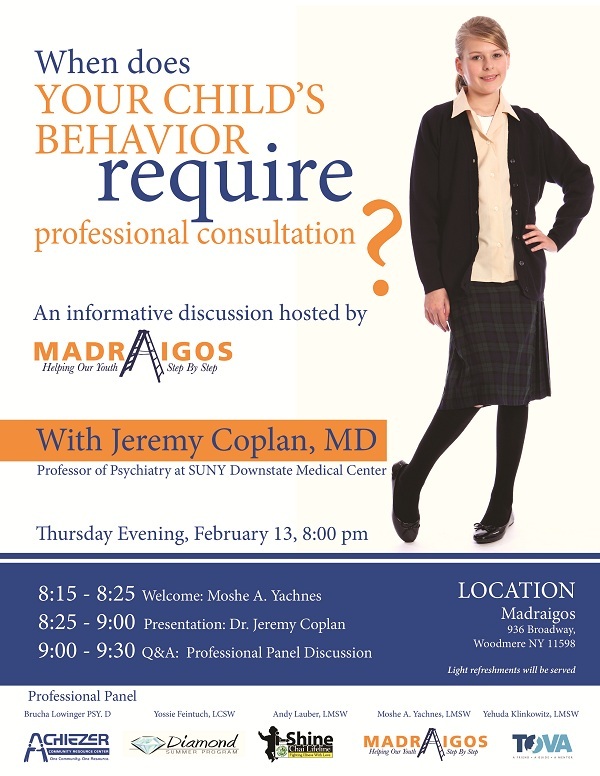 On Thursday evening February 13th, Madraigos will be hosting an informative parenting discussion with Dr. Jeremy Coplan, a Professor of Psychiatry at SUNY Downstate Medical Center. Titled "When does your child's behavior require professional consultation?" the main presentation will be followed by a Q & A session with various mental health professionals from other organizations including Achiezer's Dr. Brucha Lowinger Psy. D. For more information please contact Madraigos at (516) 371-3250.